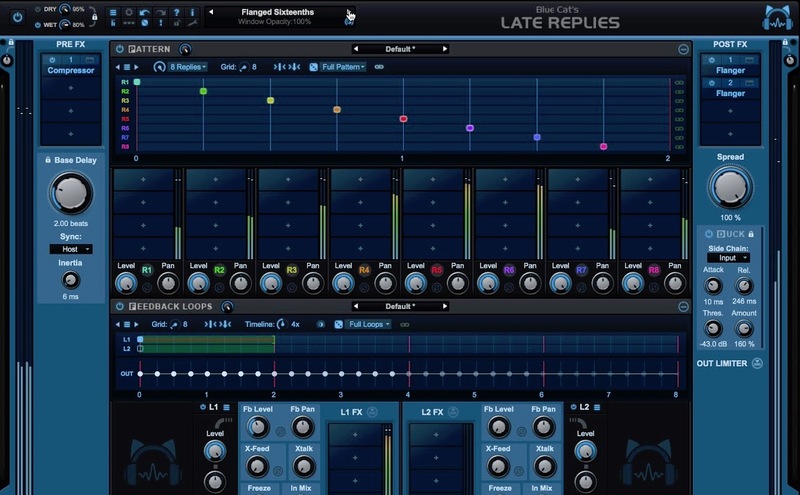 Blue Cat’s Late Replies is a powerful delay and multi effects plug-in that can be indefinitely extended by hosting third party VST, VST3, or AU plug-ins anywhere in the signal path. Late Replies is one of the greatest delays in the world. 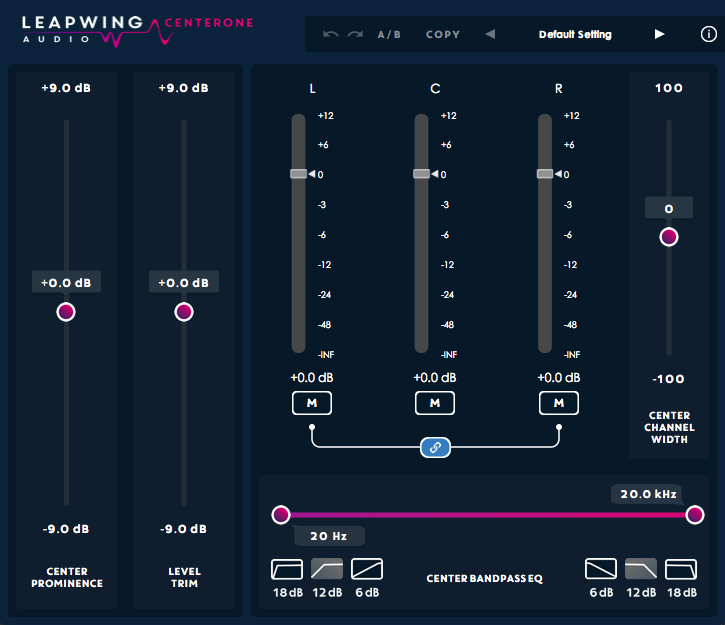 The perfect plug-in for music producers, mixing engineers, sound designers, guitar players, and film composers. 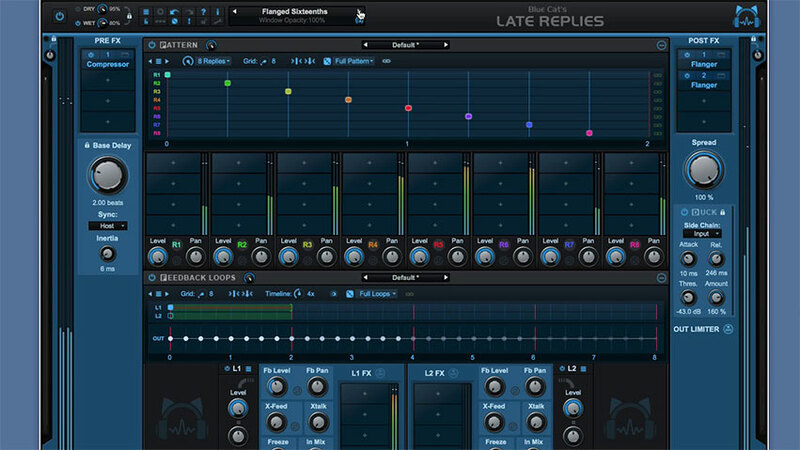 Late Replies is great for people working with vocals, loops or sound effects. Supporting external VSTs and plug-ins is what separates Late Replies from its competition. Sound design, specifically vocal production takes a lot of time to get right. Furthermore, many producers are stuck using many tools over many different tracks, inserts and busses. 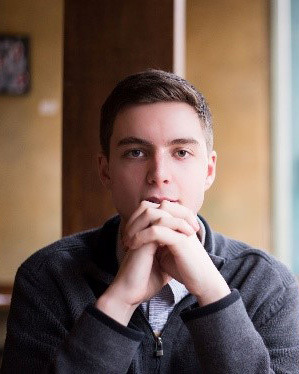 This creates an issue for the producer: time spent crafting sound is often not recoverable. Producers often start again from scratch on the next song. Late Replies allows the producer to craft and store their sounds. The producer has the ability to build up a library of treatments over time allowing them to easily flow between songs and setups. 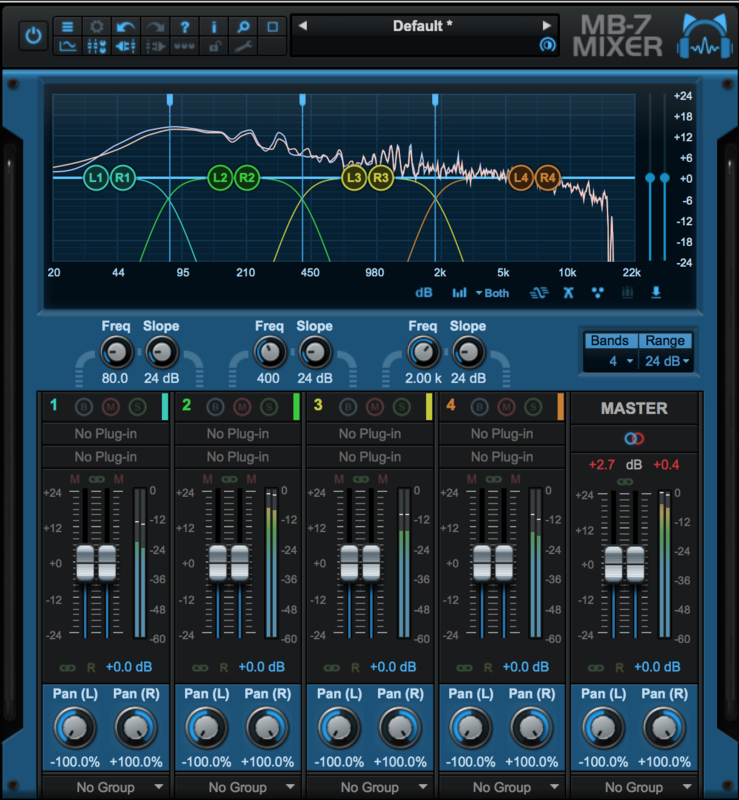 On top of that, the producer can expand their sound by adding third-party plug-ins. 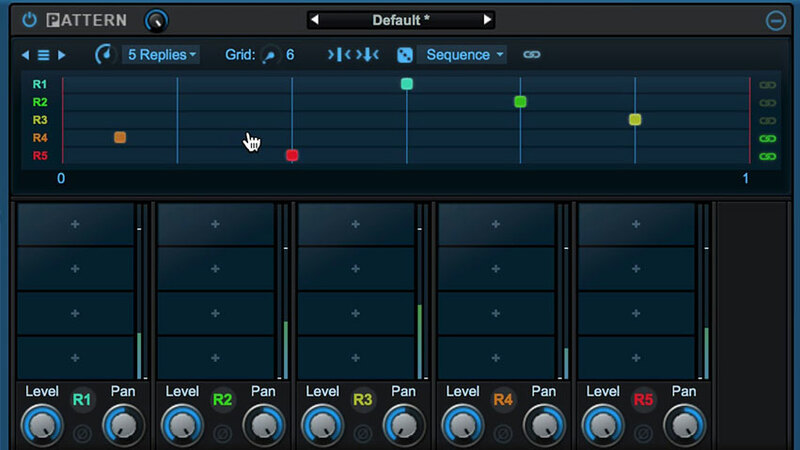 Blue Cat’s Late Replies has been designed to offer a flexible experience to create audio effects based on delays. 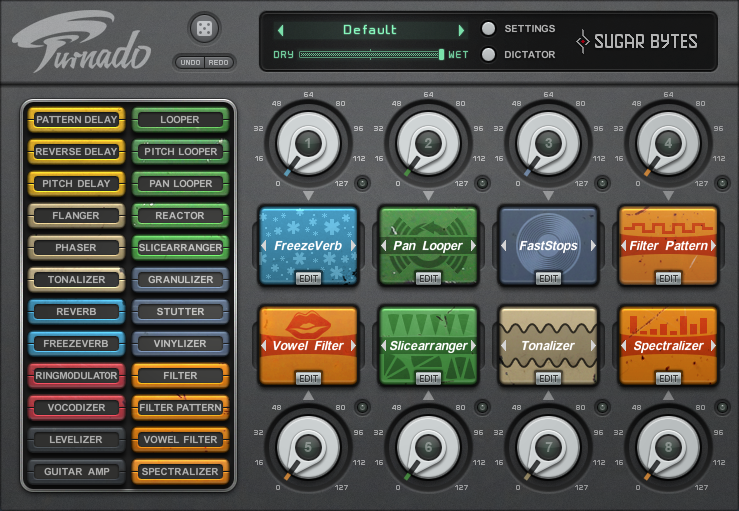 It lets you insert third party plug-ins as well as built-in effects in many locations in the signal path. It is composed of two main modules in series: the ‘Pattern’ module, a multitap delay including effects for each individual echo, and the ‘Loops’ module, two parallel feedback loops that can also be fed back into each other. 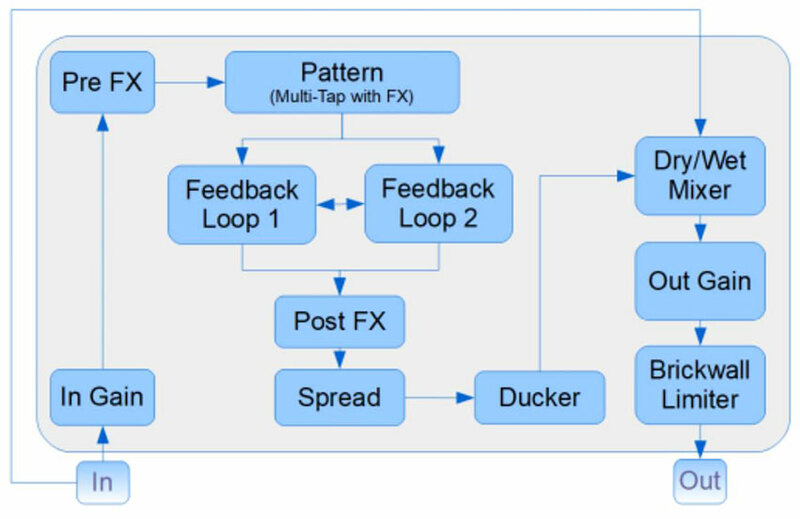 Each feedback loop also has the ability to host built-in or third-party plug-ins, so that each new echo gets more effects than the previous one. 25 built-in effects: EQ, filters, pitch and frequency shifter, delays, modulation effects, compressor, gate, bit crusher, wave shaper and more. The Randomize Function: the randomize function can be used to create random settings when lacking inspiration. 3 modes are available, full pattern, sequence, and levels. When really lacking inspiration I generally use the full pattern randomization as it allows me to hear new sounds I was not going to create otherwise. The randomize function allowed me to understand the plug-in better. Highly recommend using the randomize function when first using the plug-in. The Locks: several locks are available to prevent changes while loading presets. When the lock is active, loading presets will not change the parameters of a locked section. The locks are extremely useful; they make the plug-in a lot easier to learn and use in general. Browsing presets is easier than ever. 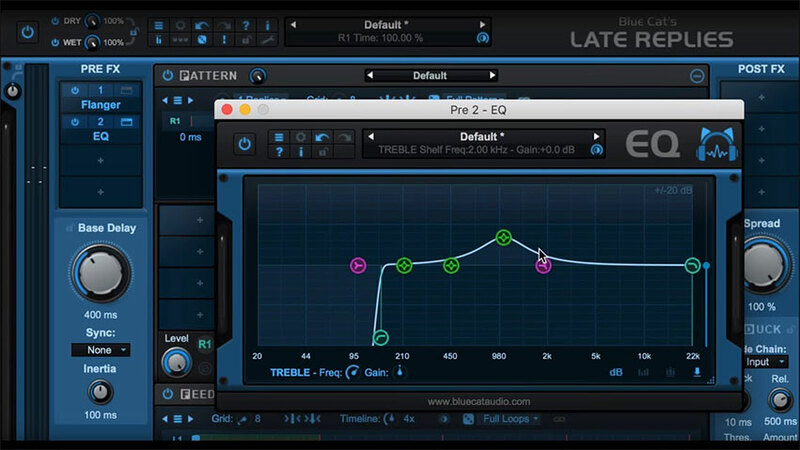 The Built-in EQ: I was extremely impressed with the built-in EQ. I thought it was simply amazing. 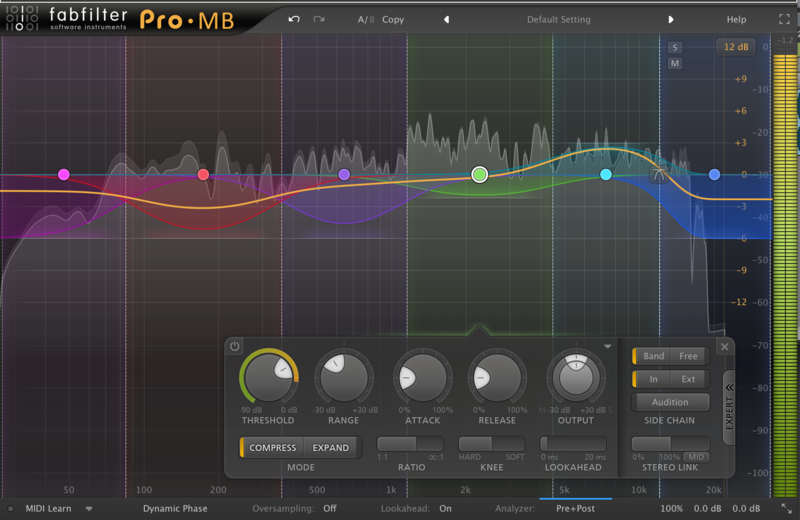 I found that I was able to take a lot of my sound design to the next level with this EQ. It is the perfect effect to use in the ‘post FX’ portion of the plug-in. 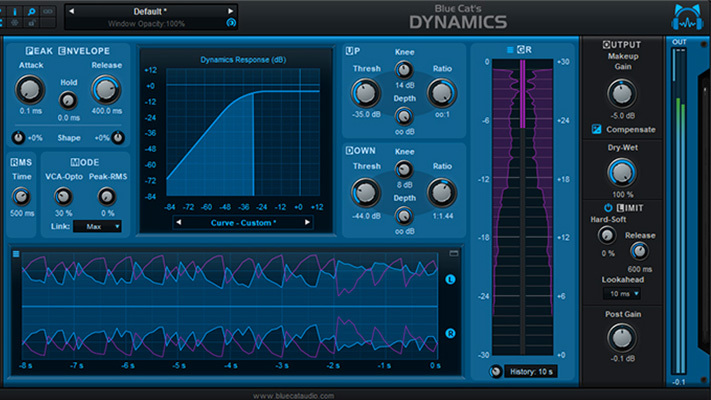 Having a quality EQ is a great way to end the signal path. Late Replies inception: Late Replies is also available as a built-in plug-in, found in the ‘delay’ category. This gives the user the ability to load Late Replies into itself. 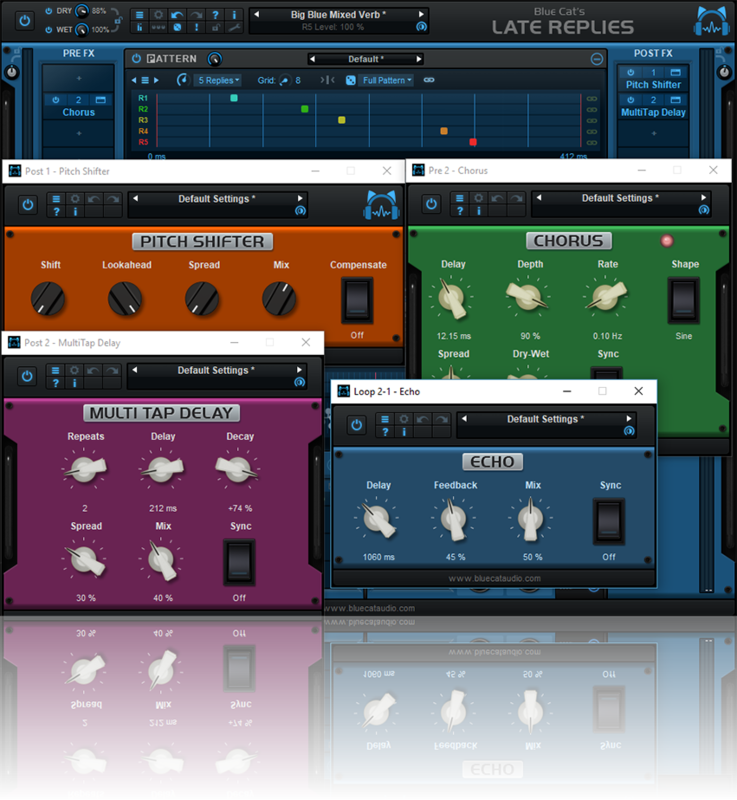 If you happen to have your VST plug-ins installed in several paths, we advise you to choose the VST path that contains most of your plug-ins. You can then use the “user VST plug-ins directory” to define an extra location for plug-ins. This extra path will be used by the Late Replies plug-in as an alternative root path to load and save the plug-ins. When listening to a preset you may want to change the base delay settings to adapt to your song. You will also probably want to adapt the dry and wet amounts. You will usually want to keep the ‘brickwall limiter switch’ enabled to protect the output of the plug-in. In this case you should try to adjust the output gain so that the limiter is not triggered, unless if you are trying to achieve a pumping effect. In order to define precise delay values, hold the shift key down while dragging the knob or double click to enter a precise value. 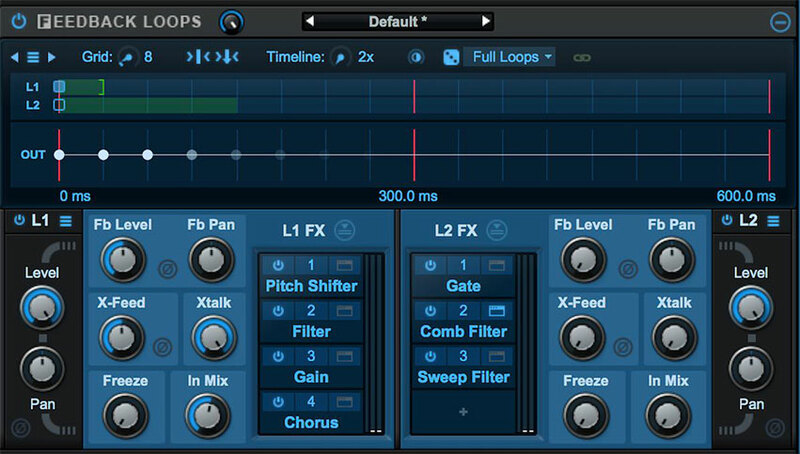 To create triplet fills or complex patterns more quickly, you can use the included multitap delay effect. It can also be synchronized with the host and will let you build simple rhythmic figures inside an existing pattern. A way to add a human feel to the rhythm pattern is to modulate the delays at a slow rate, so that the pattern “moves” around over time. Delay modulation can be achieved with the included chorus effect. Late Replies can be as simple or as complex as you want to make it. That is what I love about it, everything is up to the user. Once you have a solid grasp of the GUI, Late Replies is an incredible plug-in. 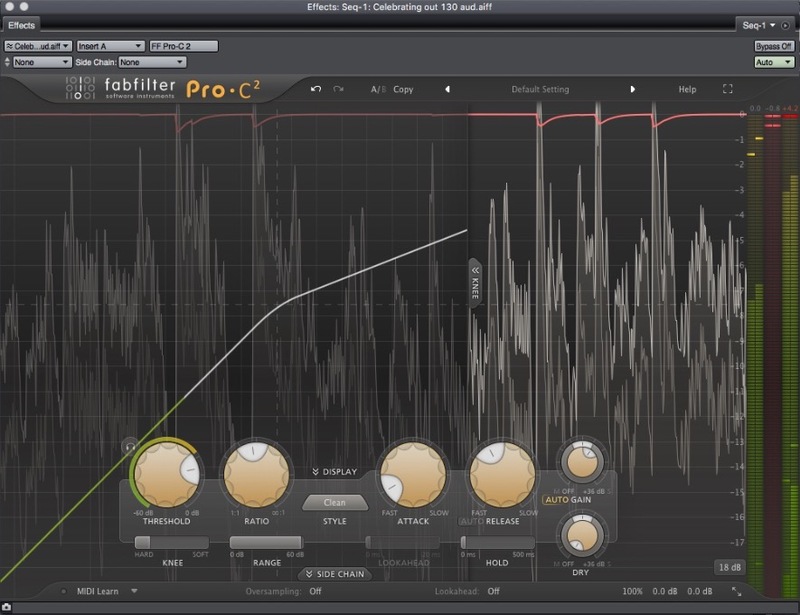 There are so many functions and many different things you can do with this plug-in. I really enjoy using Late Replies for my sampling. It has given a new creative direction for my sampling techniques. On top of that, vocals sound great through the plug-in. Late Replies truly has the ability to take your sound to a new level. For $129.00, Late Replies is a steal.